Was very quiet and peaceful even though it is on a main road. Lots of shops & cafe's within walking distance. Very clean and the kitchen was stocked with everything you could possible need, great Will definitely stay again! 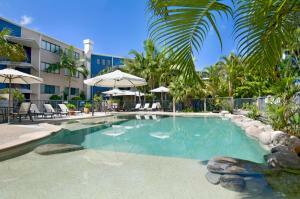 Great location, very clean, lovely beaches and walkways nearby and close to cafes and restaurants. Central location, very clean and for the price bracket, an excellent choice to stay. Great location with easy access to a number of food options. The accommodation was spacious, comfortable and clean. It is in a great location across from Dicky beach and it has cafes and a bakery right next door. It was clean, the pool is great. It was mostly quiet and the staff were easy to deal with. Lock in a great price for Portobello By The Sea – rated 8.6 by recent guests! 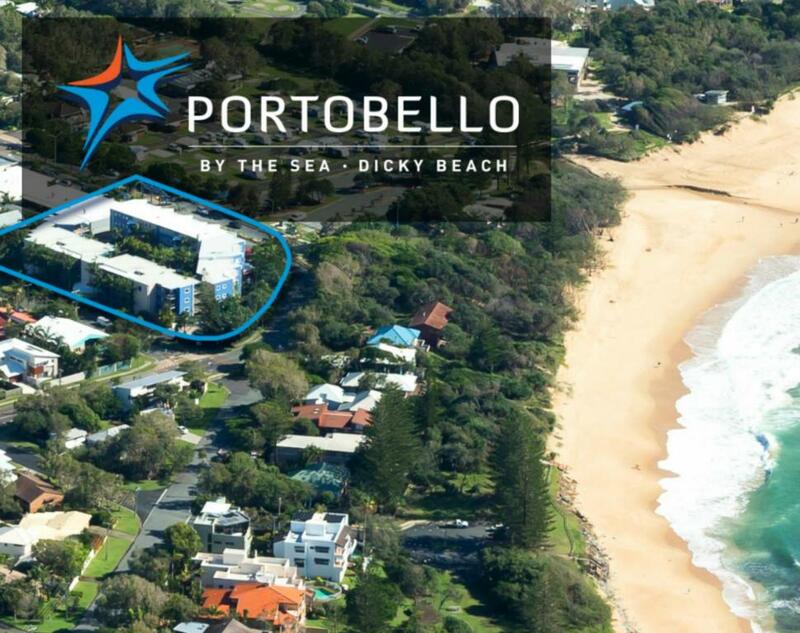 Portobello By The Sea This rating is a reflection of how the property compares to the industry standard when it comes to price, facilities and services available. It's based on a self-evaluation by the property. Use this rating to help choose your stay! 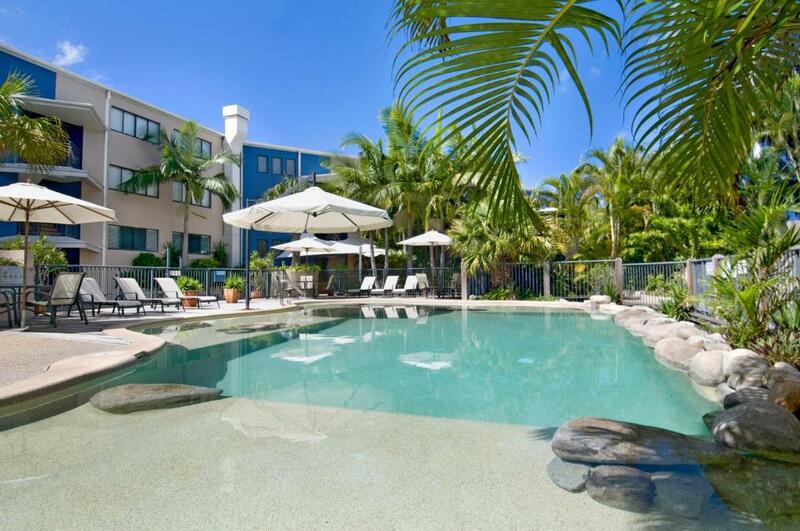 One of our top picks in Caloundra.Located across from Dicky Beach and surrounded by among landscaped tropical gardens, the Portobello By The Sea has spacious open-plan apartments with a large private balcony overlooking the pool, park or gardens. The air-conditioned apartments at the Portobello By The Sea feature a cable TV, DVD player, private bathroom, plus kitchen and laundry facilities. Guests can relax by the heated outdoor pool with a wading area for children. Barbecue facilities and free parking are provided. 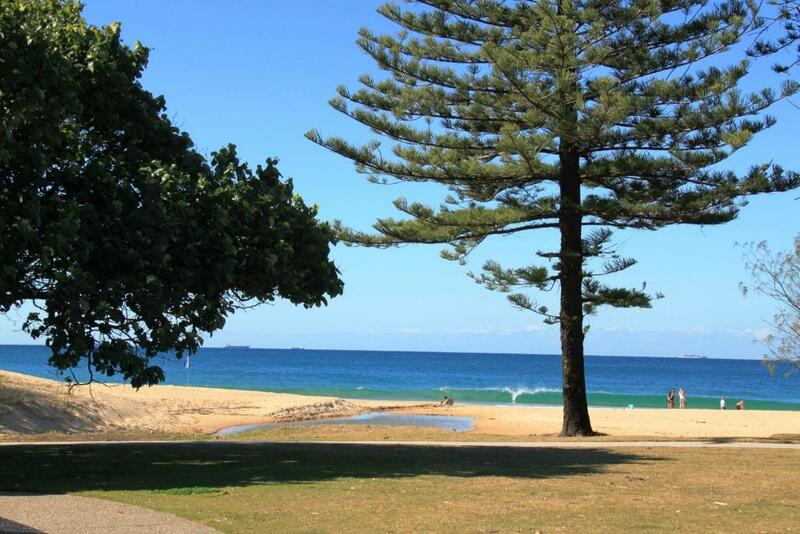 North Caloundra Surf Club is on Dicky Beach, only a 300 feet walk from Portobello By The Sea. There are also a number of local shops, restaurants and cafes within a 5-minute walk. When would you like to stay at Portobello By The Sea? This air-conditioned apartment has a large sunny balcony or patio overlooking the heated lagoon-style swimming pool or tropical gardens. The main bedroom has a queen bed, a private bathroom and a TV. The second bedroom has 2 single beds and a separate bathroom. Please note that this room will not be serviced for the duration of the stay. This apartment does not have elevator access. Apartments on the lower floors can be requested at time of booking using the special requests box. This very spacious open-plan apartment features 2 balconies and 2 bathrooms. The main bedroom has a large corner spa tub. Holidays are special times to be treasured, create amazing holiday memories at Portobello By The Sea. 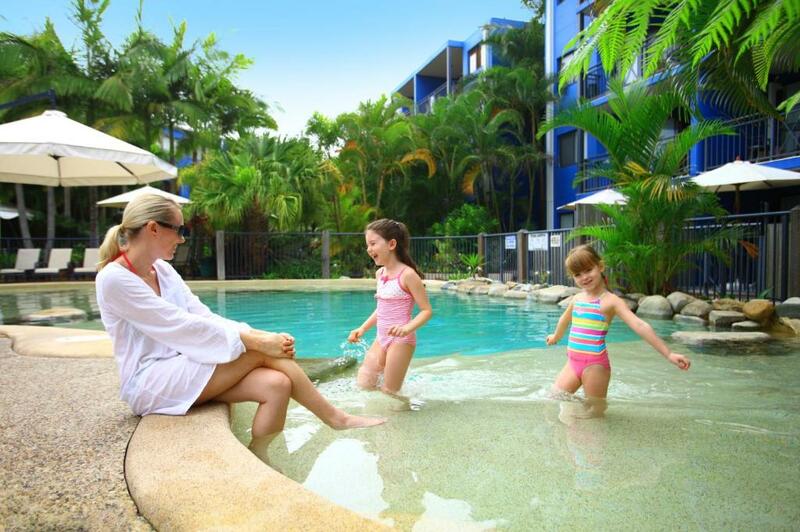 Affordable Caloundra Holiday apartments, just an hour’s drive north of Brisbane. 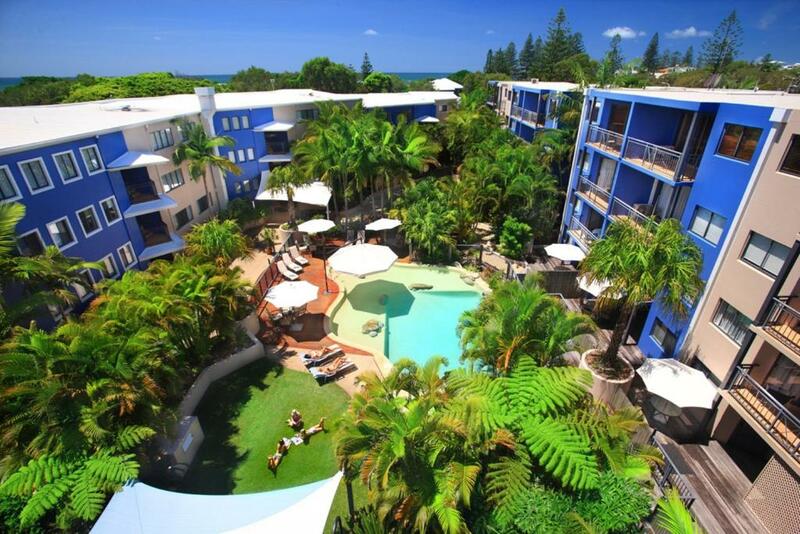 Portobello By The Sea is located opposite beautiful Dicky Beach, an unspoilt stretch of sun-drenched white sand, on Queensland’s magnificent Sunshine Coast. Not commercialised, this quiet area is the perfect place to relax on the patrolled beach. Relax in one of the spacious one, two or three bedroom apartments set amongst lush tropical gardens. Portobello apartments are designed with you – the holiday-maker – in mind. They are fully self contained and feature an open-plan design with sliding doors and large timber decks or private balconies to enjoy the sea breezes. All apartments have Cable TV and DVD players, and are all air-conditioned. The furniture and artwork throughout the apartments has been specifically selected and designed for Portobello By The Sea to create a stylish and practical look throughout that emphasises a beachside home away from home, influenced by the natural holiday environment of Dicky Beach. Stay connected with 1gb of FREE WiFi per day. We love to welcome guests when they arrival at this perfect location, it is very hard to live here, ;). Our guests enjoy walking along the beach just as much as we do. House Rules Portobello By The Sea takes special requests – add in the next step! Portobello By The Sea accepts these cards and reserves the right to temporarily hold an amount prior to arrival. Please note that rooms are unserviced. Linen change will be provided for stays over a duration of 8 or more days. Please inform Portobello By The Sea of your expected arrival time in advance. You can use the Special Requests box when booking, or contact the property directly using the contact details in your confirmation. The water pressure in the shower was practically non-existent and the shower head fell off mid-shower! Although close to the beach you have to cross a very busy road to get to it. Also noisy from traffic. Just that when I looked at the photos the photos were very deceiving on the net it looked like it was a modern unit which it wasn't everything was very outdated. The Internet was slow and kept dropping and you only get 1 GB per day per device. Unlimited internet would be better. Very dated needs maintenance and updating. The air conditioner could have been cleaned. The wifi was so slow that we couldn't use it. The garage exit key would give a shock to us when we turned the key to open the gate. The location and property over all was good. Other guests were noisy, especially in the apartment above. Wasn’t enough to keep us awake at night, just a bit annoying. Bathrooms and furniture need updating. Perfect location, great pool, beautiful views. Staff were very friendly and helpful. Would stay again. Family friendly-lots of kids and families by the pool. Good atmosphere. Pool size does not meet the capacity of the number of apartments. Very small and could not use it because large groups tend to take over all the space. Went to the beach instead. Convenient eateries nearby. Everything you might need available at local IGA. Do not need a car as everything is in walking distance. Room was comfortable and spacious. Quiet after 9.00pm. Beach across the road. The pool was very crowded and therefore unusable. Air conditioner was loud when it was on. Great location. Close to beach and shops. Very clean soft linen and towels provided. Rooms were a great size.